The Presque Isle Lodge is on the National Register of Historic Places. It is located midway between Alpena and Rogers City on Michigan's northeast coast. 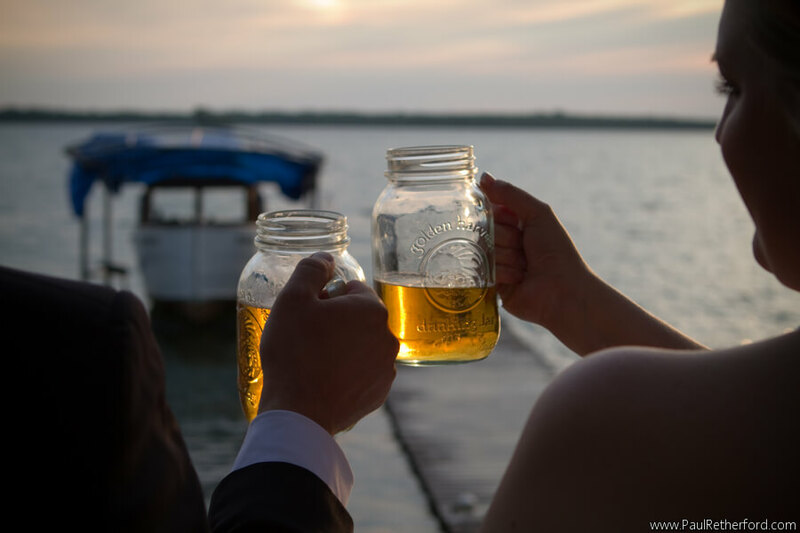 Nestled in a scenic wooded setting and across from gorgeous Grand Lake with its 14 islands, the Lodge offers unrivaled experiences in relaxation and enjoyment. The Lodge is open for your enjoyment from “roughly sometime in May ‘til sometime in September.” Your hosts will be Shandy and Steven Spencer, the sons of Robin and Laurie Spencer, and occasionally their daughter Sabrina and other family members. The entire Spencer family welcomes you as their guests. 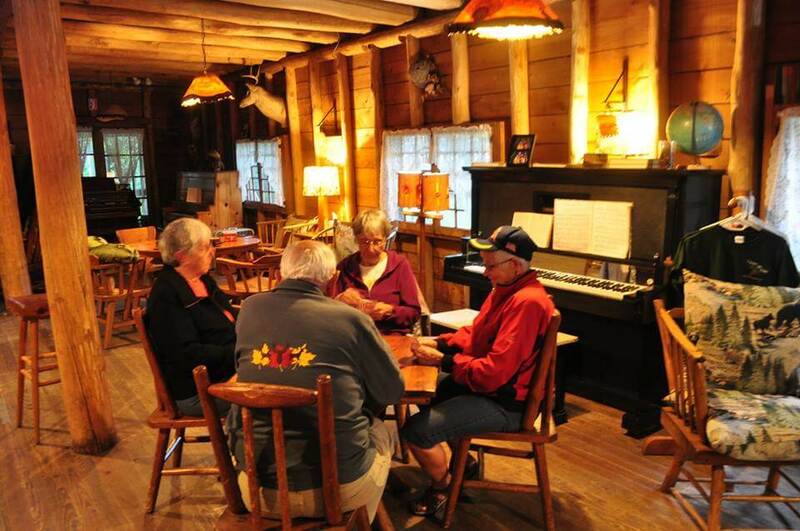 The Lodge is the ideal place to center a moderate-sized family reunion or other family gathering. 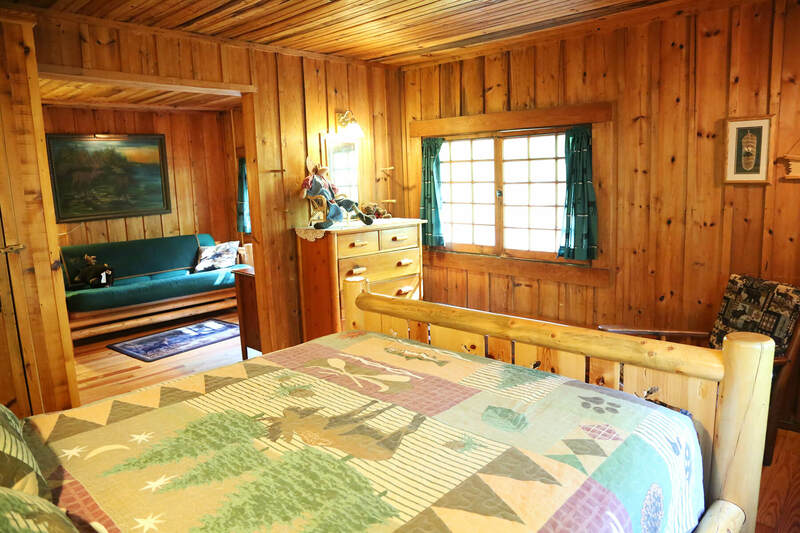 This spacious B&B is designed and furnished to accommodate groups that want to spread out, congregate in numerous small gatherings to reminisce, but who want a centralized retreat for group meetings and meals, and/or to relax after a busy day exploring the area. 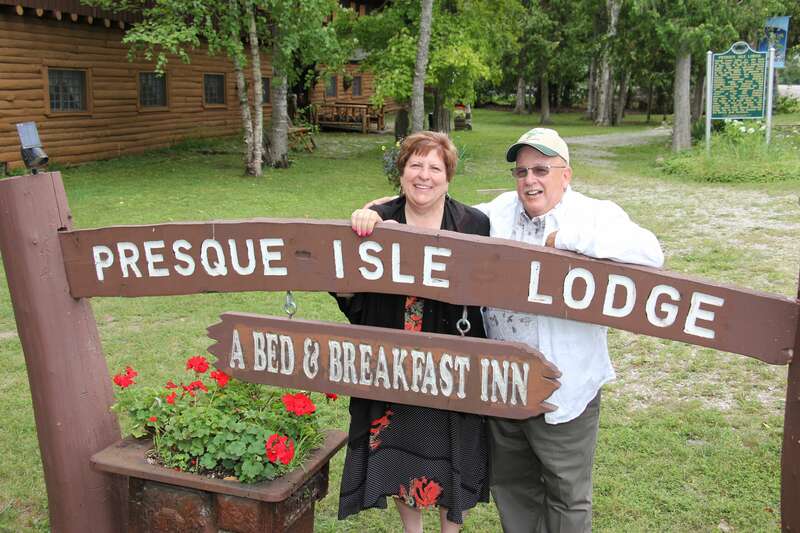 The Presque Isle Lodge will accommodate up to 200 people for group meetings and meals. It will comfortably sleep 16 adults. More may be possible with special arrangements. Inquire. 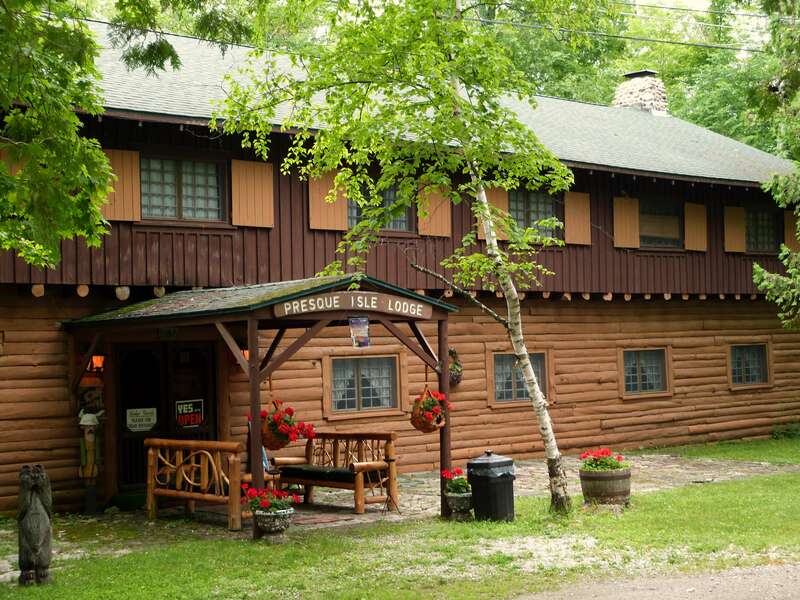 The Presque Isle Lodge is located near the Grand Lake Association Park, with amenities such as a tennis court, swings, slides, jungle gym, volleyball court, and basketball court that both children and adults will love to use. Grand Lake is a 5,660-acre lake with 16 islands to explore. 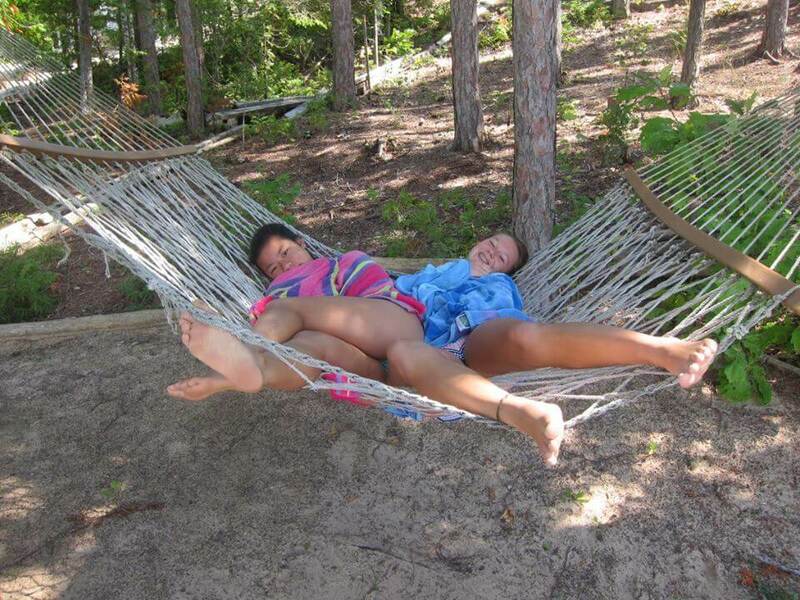 Enjoy swimming, fishing, canoeing, or just relaxing on the hammock or deck. Besides Grand lake, the Presque Isle Lodge is at the center of extensive recreational resources such as Lake Esau, Lake Huron, the Sweetwater Trail, Thompsons Harbor State Park, Besser Natural Area, diving, museums, lighthouses, gift shops, and many more. Let our unique setting provide the perfect environment for a truly unforgettable event! So, you are getting married! Consider foregoing the generic event center for a more endearing and romantic summer bed and breakfast wedding venue. No matter what your vision is for your special day, the Presque Isle Lodge has the experience and talent to bring it to life. 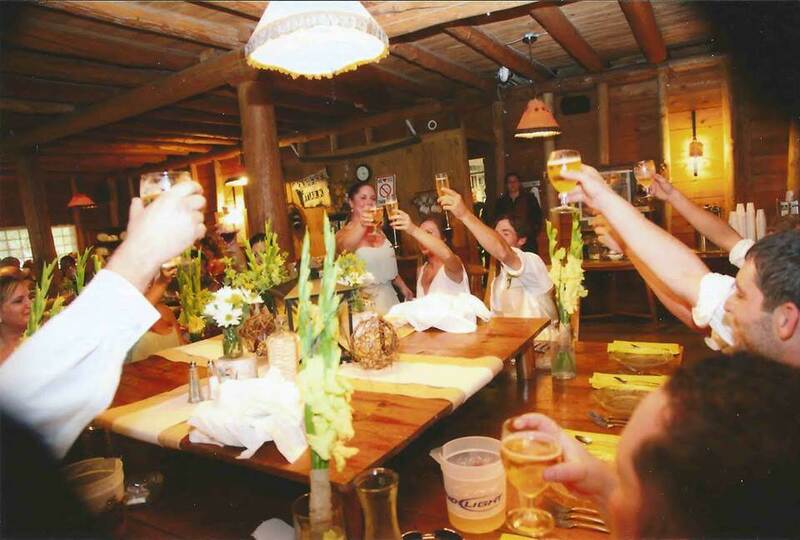 Included in the stress-free wedding for up to 200 guests is the dreamy Honeymoose Suite, as well as accommodations for up to 16 to 20 friends and family, depending on sleeping arrangements. Think of it as a wedding in a box. Wedding arch, decor, seating for guests, indoor or outdoor venue, the option of a ceremony overlooking Grand Lake or Lotus Pond, rehearsal dinner and more. One of the best ways to save on the cost of a wedding is the wedding venue. The wedding ceremony at the Presque Isle Lodge can be held on Grand Lake, Lotus Pond or inside this historic building. Having your wedding and reception at the same location allows you to spend less on décor as well as transportation costs. How many venues can you have the rehearsal dinner, the wedding ceremony, the reception and guest rooms all at the same location? There are areas in the Lodge or on the grounds where guests can eat, drink, talk and dance and those areas can be controlled (such as closing the doors to the dining room) so your photographer can capture that special memory prior to guests entering the area. The Lodge is also located close to two wonderful lighthouses and Lake Huron, among other options for stunning pictures. In a visit to our community, lighthouse aficionados can check off four stops on the Michigan Lighthouse Guide map and even stay in a room dedicated to our area light stations: the Rear Range Light, the Front Range Light, the Old Presque Isle Lighthouse and the New Presque Isle Lighthouse. As an ad for Pure Michigan stated, "We lose ourselves in the fog of everyday life and drift away from what matters but like a beacon in the night it finds us. The light of more than 100 lighthouses burning through that fog and beaconing us back to what is real and true. This light shines for us all. This light is Pure Michigan." Built in 1920 by Newell Avery Eddy Jr., the Presque Isle Lodge is a National Registered historical landmark. There is an intriguing array of other attractions in close vicinity to the lodge including the Kauffman Homestead, the Old Lighthouse, the New Lighthouse, Burnham's Landing, the Front Range Light, Adeline Sim's gravesite, Besser Bell, and Fireside Inn. The oldest grave in Presque Isle County is located in the local cemetery. The innkeeper can provide history-related tours of the area. 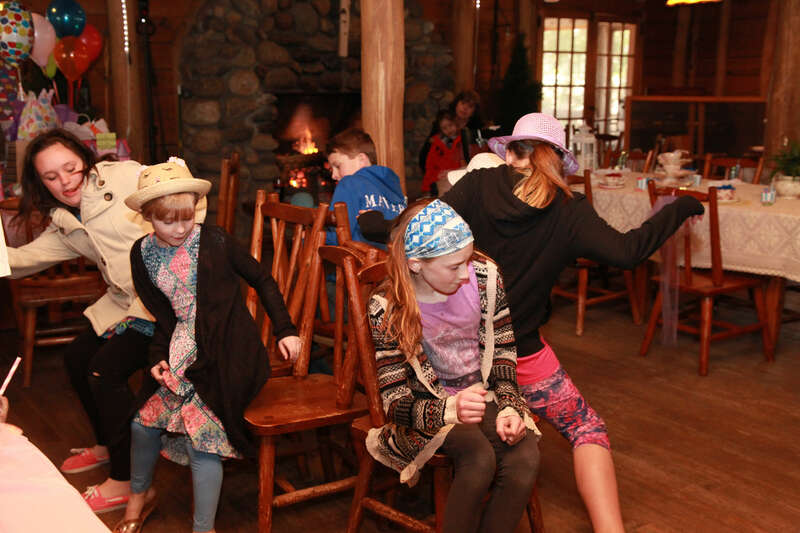 Children are appreciated and loved at the Presque Isle Lodge. However, adult supervision is appreciated. No childcare is provided. Equipment for very young children, such as baby beds, is not provided. 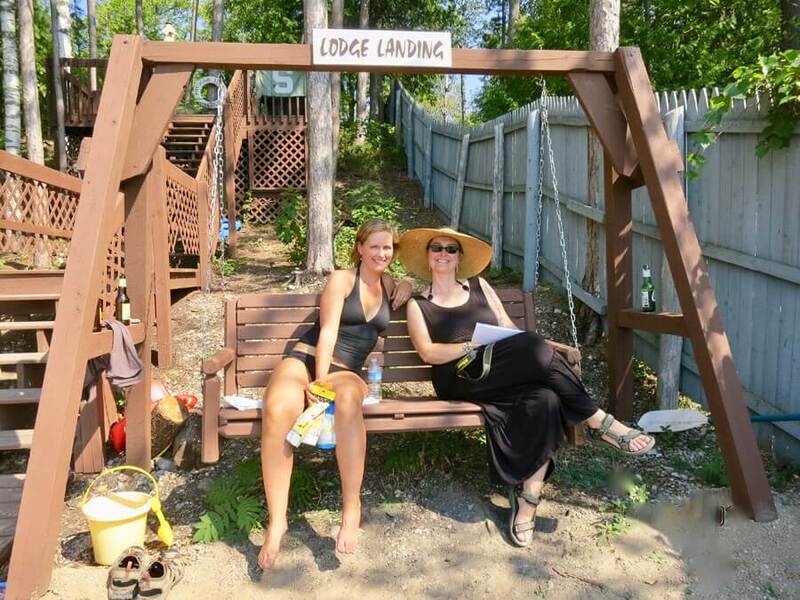 Running the lodge is a family affair for Laurie and Robin Spencer.